Ramon Rodriguez, best known as Monchi, was heavily rumored to join Arsenal but he rejected the opportunity to rejoin his old club Sevilla. Amidst heavy links with Premier League club Arsenal, Ramon Rodriguez, best known as Monchi, rejected the opportunity to join the Premier League giants as he has returned to his form club Sevilla. Doing so, he stated that he returned to the Spanish team because it was in trouble but in a bid to help it grow. Monchi, 50, left the Spanish team in 2017 to join Roma, but he split with the Serie A team earlier this month and decided to return to Spain, reports Xinhua news agency. “I am not here to save anyone, Sevilla are not in any problems. 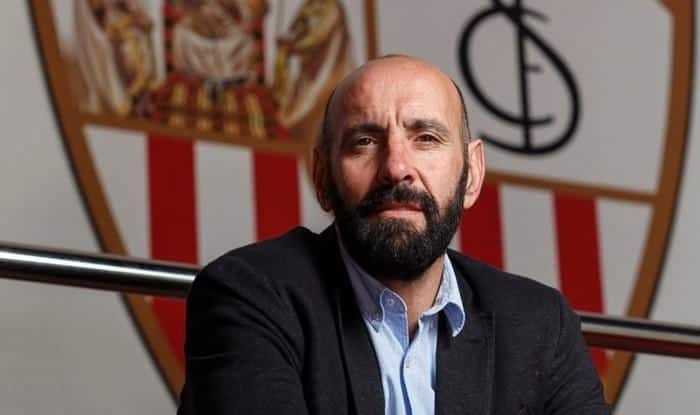 I am here because the vision they have fits in perfectly with the vision I have and want for Sevilla in the future,” Monchi said at a press conference held at Seville’s Ramon Sanchez-Pizjuan stadium on Monday. The former Sevilla goalkeeper, who played in a total of 115 matches, rejoined the Spanish club amid changes in the Andalusian side that were carried out with the aim of recovering its past glory. The team that dominated the Europa League for three consecutive seasons — 2013/2014, 2014/2015 and 2015/2016 — saw its run at Europe’s second-tier club competition come to an end at the hands of Slavia Praha in the round of 16. Sevilla conceded two goals at its home ground in a 2-2 first-leg draw and was defeated in the second leg played in the Czech Republic 4-3. The defeat proved to be costly not only for the Spanish team but also for coach Pablo Machin who was fired a day after the elimination. The director of football, Joaquin Caparros, has been appointed as head coach with Carlos Marchena and Paco Gallardo acting as assistants until the end of the season. “I chose the sporting project which convinced me the most. And that was Sevilla’s,” said Monchi, who denied any approach by Real Madrid, although he acknowledged he engaged in talks with Arsenal. Monchi was Sevilla’s sporting director for 17 years and is widely considered the architect of the success the Spanish team has recently achieved. “I hope to make another step up here to make the difference. We can improve both in the sporting and economic sense. We aspire for success,” he said.